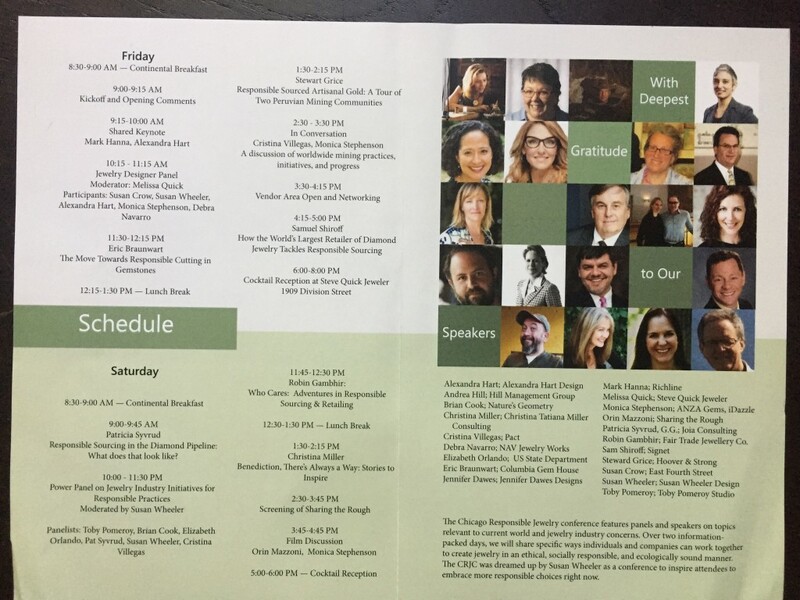 It was an international gathering of pioneers and initiatives of all scales and covering not only “sourcing” but the big picture at the First Annual Chicago Responsible Jewelry Conference! 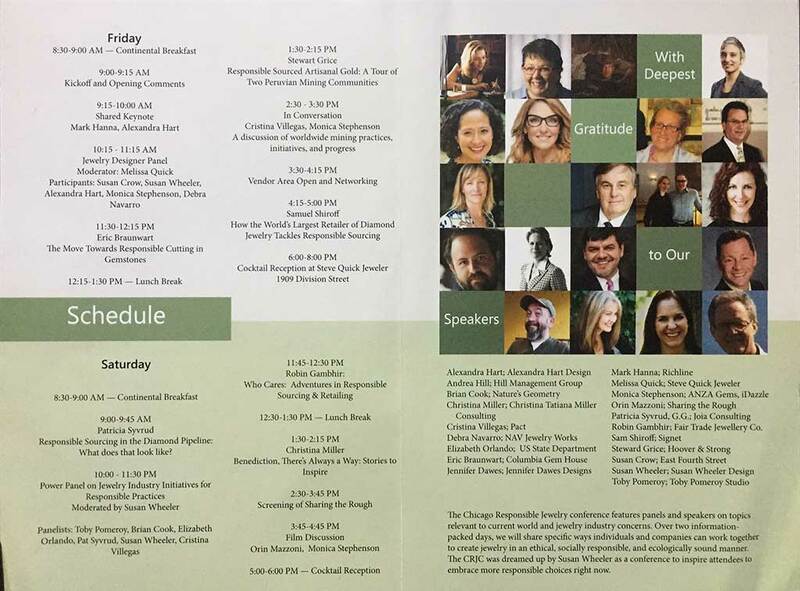 Grateful to Susan Wheeler for the idea and successful creation of this incredible conference in such a great city, attracting many regional participants from surrounding states. Proud and grateful to Ethical Metalsmiths board and advisors who jumped in and supported and participated in this event. Ethical Metalsmiths envisions a jewelry industry where a beautiful product does not bear an unseen human or environmental toll.